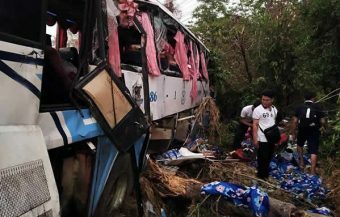 As widespread crackdown on foreigner-run crimes initiated by Thai police rages on, more and more unwelcome visitors are being prosecuted as their criminal activities are being uncovered. In the last few days alone Thai police have arrested two romance scam gangs, One Ugandan and one Nigerian in Samui and Pattaya respectively. When it comes to romance scams, Nigerians seem to make up a large proportion of those involved in the despicable trade. The numbers of arrests by Thai police of African, primarlily Nigerian, romance scam gangs has accelerated in the last few months. The scale of the activity and the lucrative nature of it is shocking. It is part of a much larger criminal enterprise run in Thailand by African gangs with links to drugs, prostitution and human trafficking. The romance scam network originating in Africa now spans the world. 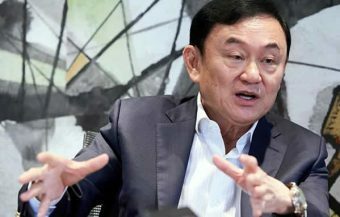 There is evidence to suggest that it is expanding with the migration movements of Africans throughout the world and despite the arrests, it is still very much alive in Thailand although many of those involved must be getting nervous at the intensity and success of police activities in recent months. The huge online romance scam trade is not however unique to Thailand. There are a growing number international criminal gangs in many countries around the world working to cheat money out of their victims through fake romantic relationships online. the rewards ae great and many overworked police forces worldwide are slow to give the crime the serious attention it warrants as a cynical and dasterdly activity which damages people financially and mentally. Thailand is a a very significant and lucrative territory for the crime gangs that operate the trade. 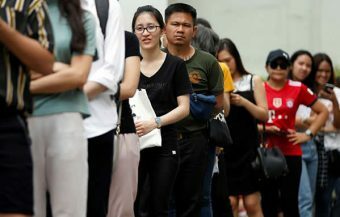 The ‘market’ for the crooks in Thailand is one the most valuable in the world as there is now a booming rate of Thai women seeking and love and marrying foreign, predominantly western men. 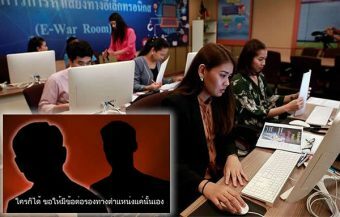 The scam gangs target both genuine Thai women and western men dating online while posing attractive but ultimately fake profiles to both parties. These gangs have targeted popular Thai dating sites such as Thai Cupid and ThaiLoveLines that specialize in international dating. However since the dating sites have introduced enhanced security services, the crooks are increasingly looking to the social network site Facebook. They have devised sophisticated stings and contact strategies to dupe unsuspecting people when they are quite vulnerable, by creating intimate but ultimately false relationships. ‘I would advise anyone thinking of international online dating or dating in Thailand to use sites like ThaiLoveLines but also to be aware of this issue since when someone online is aware of the threat, they are at that point, protected,’ says Bill Mc Mahon, a security officer who works with ThaiLovelines which has introduced an awareness programme to protect online users against the threat. Thailand is, in fact, at the centre of a global international dating scam network. The FBI estimates that Americans using online dating sites and social media associated with this kind of fraud, lost in excess $230 million alone in 2016. 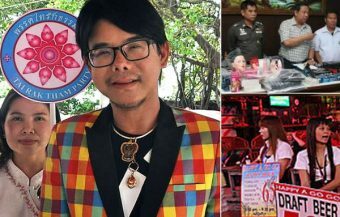 Well aware of the scale of this issue, Thai police have rolled out a series of measures to combat foreign criminals with a particular emphasis on romance scammers since 2015. This includes establishing a database of all foreign tourists and expats working or traveling in Thailand. However while romance scammer gangs are increasingly basing themselves and moving to Thailand to avoid security measures on international Thai dating sites, there is a still a more significant group operating from key hotspots around the world including West Africa, Eastern Europe, Malaysia and the Philippines. Security sources with the Thai dating industry also point out that there is link between this criminal activity and the migration crisis with activity spikes being seen from Sweden, the United Kingdom, France, Italy, Germany and surprisingly from the United States. 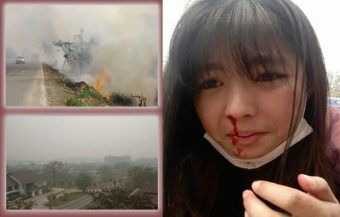 The gangs are also active in South Korea, Hong Kong and China. ‘These groups are very slick and purchase cheap servers, we’ve even seen them working with hacking groups in the Ukraine and Russia,’ says one source. 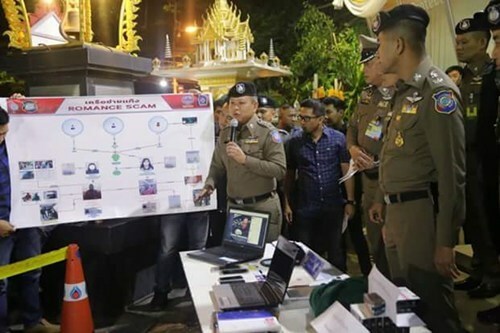 Concerns of infringement of privacy aside, the programme of the Royal Thai Police have produced many positive results, notably the continued exposure and arrest of a series of Nigerian romance scam gangs in Thailand. A significant development was the arrest of four Nigerians last November in Bangkok. The four suspects were identified as Egbain Andrew, Onwuemeru Elvis, Uchechukwu Benjamin Ejimadu and Ahamefula Chibuike Kali. According to police reports, they posed as wealthy handsome white men and made friends with a lot of lonely Thai women through Facebook, the most popular social network platform in Thailand. Thai police explain the complexity and sophisticated nature of the romance scam operations to the media. 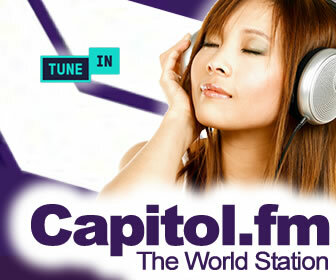 These scams continue to lure many Thai women into losing money online. Many gangs work with the assistance of Thai women accomplices who are critical to the success of the schemes. While Thai people and online communities work together to warn innocent users online of the danger, one Thai academic has produced a video for Thai women in which he explains the psychology used by the sscammers and reveals that some African gangs have even resorted to black magic rituals to give supernatural power to the profiles they create online to overpower Thai women, western men and also lately, Thai men who have been targeted by the increasingly ambitious and innovative fraud gangs. 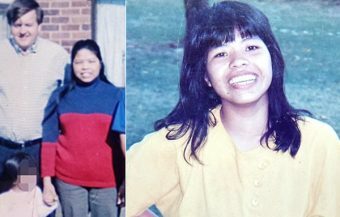 As the relationships turned more romantic, they would intimate to their trusting or sometimes loving victims that they wanted to send them cash or valuable gifts. The Thai women would eventually be informed that they had to send them money first to pay for customs taxes and other fees. These Nigerians worked with an accomplice, a Thai woman who convincingly posed as an official at a well known logistics firm. She would call the victims and encourage them to transfer money. 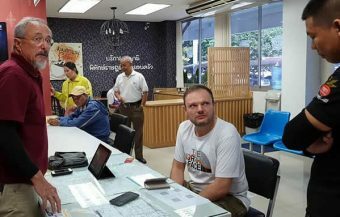 It is unclear how much money the gang cheated successfully out of the victims but another romance scam gang, composed mainly of Nigerians along with a Thai and nationals from some African countries, used the same tactic and conned an average 70,000 baht out of their latest victims. One Nigerian scammer arrested in Rayong province in the last few weeks was was reported to be earning 1 million baht per month ($32,000) tax free. 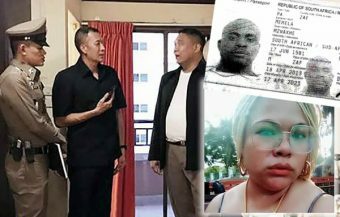 He was arrested with a Thai woman although no accomplice was arrested when police nabbed the Nigerians in Bangkok while a Thai woman was also arrested when police arrested two Ugandan romance scam operators in Samui this week. 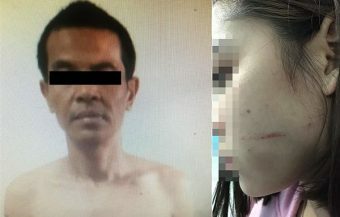 There are reports of Thai women working with romance gangs based in Malaysia in recent times acting as cash couriers while also posing as Thai government officials. 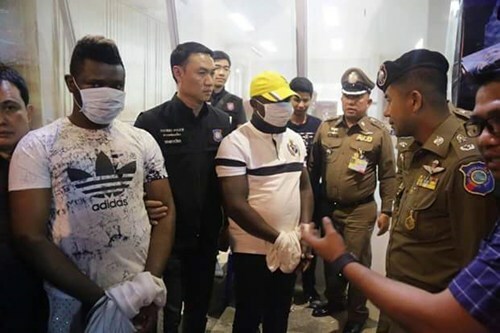 Another scam group nabbed by Thai police was led by Marcelinus Chijioke Mbakwe, a 32 year old Nigerian, and were apprehended at a hotel in Phuket province in June. In April, Thai police arrested yet another Nigerian scam gang headed by Uzochukwu Jerome Ezeneche, 41 years old. 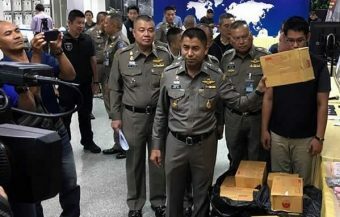 On that occasion they confiscated 715,000 baht and 4,000 Nigeria naira (350 baht) in cash that the fraudsters had squeezed out of their Thai ‘lovers’. Sometimes, however, it only takes one man to ensnare a lot of women. At the same time as Ezeneche gang was busted, another Nigerian visitor to Thailand, Mr. Emery Henry, 32 years old, was arrested in Lampang for operating the same ever profitable racket. 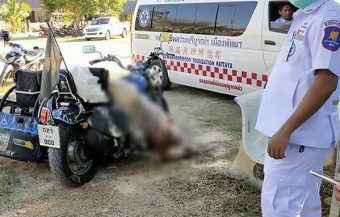 His meager spoils of 40,000 baht were seized by the police. One month later, Pattaya police detained two further Nigerians lover boys on the same grounds. Ositadima Ibeh, 28 years old, and Chinedu Calistus Ndubuisi, 30 years old, were detained by Thai police and so were their 11 credit cards and 20 bank books. The scammers seem gifted and talented in developing convincing pretexts for requesting the Thai women, they have met online, to send money without arousing their suspicion. These included study costs and health care expenses and were always presented in a convincing and false context assisted by accomplices. It is understood that Thai women accomplices are often used by the gangs to play on the trust that Thai women traditionally place in each other. ‘Having worked combating these people for years, their dishonesty and cynicism is not only sickening, it would damage you spiritually,’ says one online industry expert. 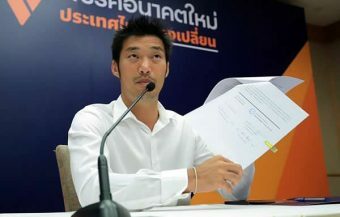 ‘Thai women and the genuine men using online dating must be inoculated against it by making people aware, the problem is many people often are slow to come forward and don’t want to lose face but they should always do it because they will end up helping others.’ Thai police have revealed that many of the Nigerian fraudsters have entered Thailand on tourists visas with many overstaying their visas by anything from 3 years to 8 years. They also take up various disguises to fool the victims, passing off as American or European specialists, engineers, soldiers, etc. And even women. 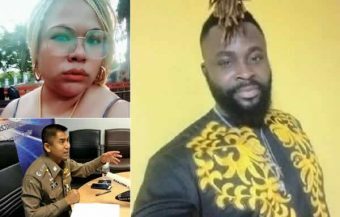 Last December, 38 Thai men were surprised and appalled to learn from the police that the beautiful American female soldier they had been chatting and sent money to was in fact a 35-year-old Nigerian man named Antonio Jose Carlos. He was arrested along with five other Nigerians for fraud. The six had formed a group known as ‘Star Boy’ to create a fake profile as an attractive American girl and use it to cheat money out of middle-aged Thai men using the same technique as other romance scam gang were using on Thai women. 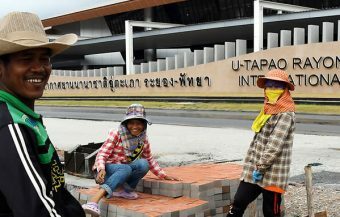 They were thought to have made 3 million baht. The phenomenon of online dating romance scams has reached such a level and the craft that has been developed by unscrupulous actors, mainly from Africa, has led many to set up websites and groups to counter the problem. 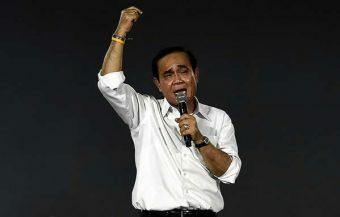 One Thai academic has studied the modus operandi and has set out to explain to Thai women just how persuasive the fraudsters can be. The video is presented in Thai and explains how people are particularly vulnerable to manipulative people when they are lonely or seeking love online. Indeed to some extent, dating site users online must be open to some intimate communication for the online dating process to work. However in a stunning revelation, the video also explains how the African gangs are using traditional African ‘Black Magic’ to ensnare and gain the trust of Thai women. 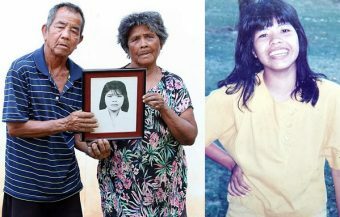 The power that the gangs have shown in getting Thai women to find and apart with significant amounts of money is truly astonishing and gives the claim some credibility. While many are wealthy and middle class Thai women, some of those exploited have had to borrow from local communities and friends to pay sums of 100,000 baht or more. They are left shocked, saddened and disappointed but many must then face up to the prospect of a significant debt to close friends. The academic presents the course has even offered a stunning video clip of African scammers dancing around a laptop showing an online dating profile. 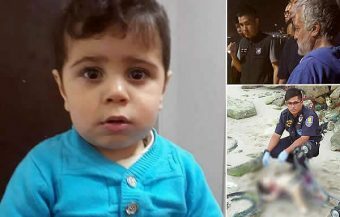 It is deeply disturbing and underlines the evil nature of this criminal activity. The prevalence of the problem means that there are more and more online posts or videos explaining how to avoid an online romance scam trap. As every fraudster takes advantage of special conditions involved with online dating such as trust and intimacy, it is advised that people should develop their relationship slowly and ask many questions about the other party. An overly perfect profile should be a source of concern or red flag. Online dating experts however recommend learning about the issue, being fully aware and understanding of it but specifically point out that users must also guard against paranoia. ‘99.9% of those online seeking love are genuine, the problem is that this the 0.1% will be very active and often have the right look and sales line. Common sense and awareness should be enough to protect anyone and allow people to carry on using the internet to find love and friends.’ Obviously anyone requesting money to be sent or paid online is the most obvious indicator of a fraudulent actor. Thanks to those tips, a lot of women and men have escaped may be assisted to avoid the ‘millionaire’ and ‘hot girl’ online traps that are out there for the unsuspecting. ‘I have not experienced any of these scams and never paid a single dollar. Thanks to all the websites that teach me to know them,’ said one Thai women recently on a web forum created by the Thai academic who highlighted the use of black magic by some online scammers.